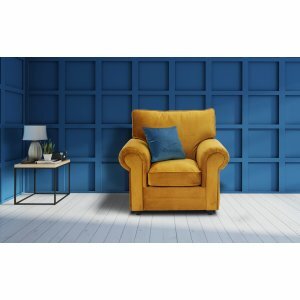 Gold velvet snuggle / cuddle chair • Swivel mechanism to rotate • Soft foam padded seating and scatter cushions. 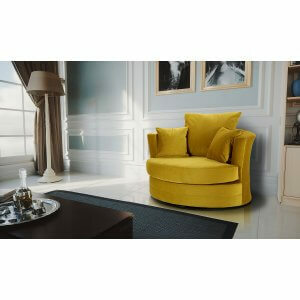 • Velvet style polyester fabric. • Luxury and glamour. • Hard wood frame • Full UK Fire Rated. 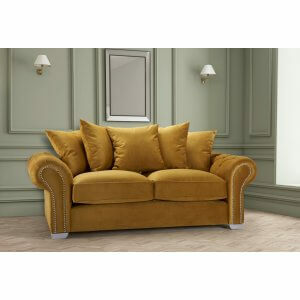 Gold Velvet 3 Seat Sofa • The Westwood has deep chesterfield buttoned arms that are also overstuffed. 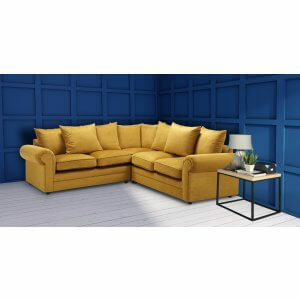 • Soft foam padded seating and large scatter cushions. 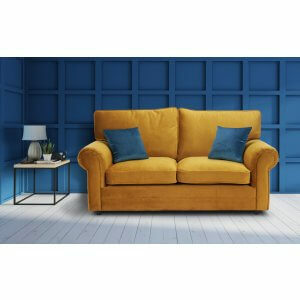 • Velvet style polyester fabric. • Luxury and glamour. • Chrome style feet. • Hard wood frame. 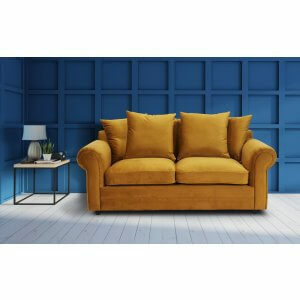 Gold Velvet 3 Seat Sofa • Soft foam padded seating and large scatter cushions. • Velvet style polyester fabric. • Luxury and glamour. • Chrome style feet. • Hard wood frame. Gold Velvet 3 Seat Sofa • The Roma has deep chesterfield buttoned arms that are also overstuffed. 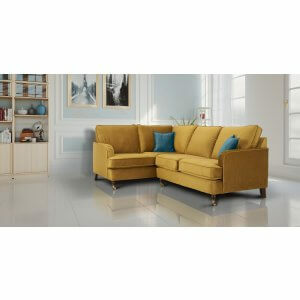 • Soft foam padded seating and large scatter cushions. • Velvet style polyester fabric. • Luxury and glamour. • Chrome style feet. • Hard wood frame. 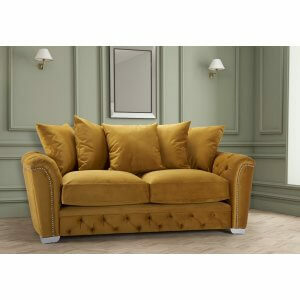 Gold Velvet 3 Seat Sofa • The Buckingham has deep chesterfield buttoned arms that are also overstuffed. 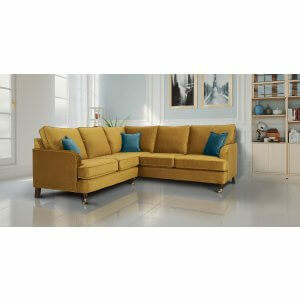 • Soft foam padded seating and large scatter cushions. 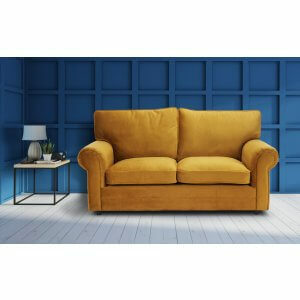 • Velvet style polyester fabric. • Luxury and glamour. • Chrome style feet. • Hard wood frame. 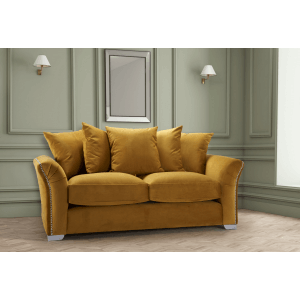 Gold / Mustard Velvet 3 Seat Sofa. 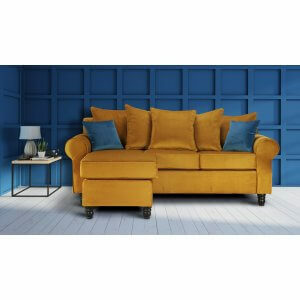 •	The neat, pintucked arms and velvet fabrics are matched with contrast turquoise cushions for extra colour. •	Fully upholstered in fashionable soft brushed velvet style polyester durable fabric. •	Metal castor feet add a traditional style to this piece of furniture. •	Fully UK fire regulation compliant foam and fillings used throughout.